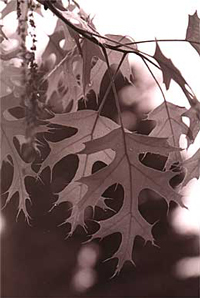 Bainbridge poet Susan Hylen’s 2001 debut collection of verse and photographs is titled Double Exposure. The volume contains poems about personal experiences lived out in locales frequently familiar to island readers. One of the poems, for instance, reflects on Hylen’s experience after a bicycle accident that occurred while she was riding home from the library. Hylen’s work has been published in a variety of magazines as well as on Seattle buses as part of the Metro Poetry Art Project. Her photographs have also been displayed at Pegasus Coffee House, the Harbor Public House, and Eagle Harbor Books and frequently appear on the brochure cover of the Bainbridge Island Park and Recreation District.